These PHILADELPHIA No-Bake Mini Cheesecakes are ridiculously quick and easy to make. Get ready for your next special occasion without even having to turn on the oven when you make colorful PHILEDLPHIA No-Bake Mini Cheesecakes. Beat cream cheese and sugar until blended. Gently stir in COOL WHIP. 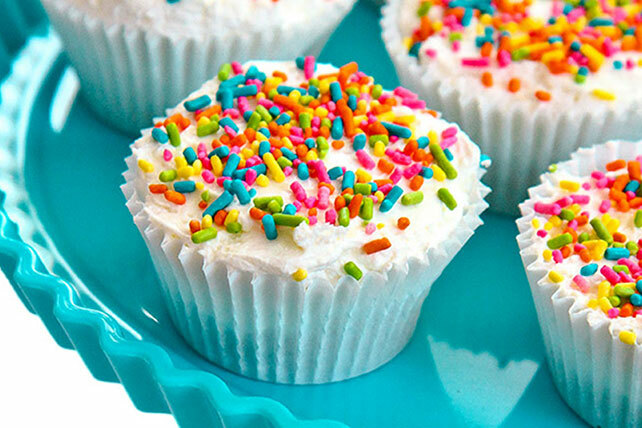 Place cookies in 12 paper-lined muffin cups; top with cream cheese mixture and sprinkles.